Other Office reviews by real, verified users. Find unbiased ratings on user satisfaction, features, and price based on the most reviews available anywhere. 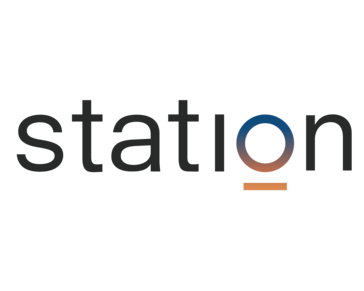 Station is the browser for work. We unify within a single interface all of the web applications you use at work. Stay focused, work faster: use Station! Scribd is a digital library platform. Users can publish, read, or discover books and documents. Scribd can be accessed via mobile or web. Flash provides cross-platform browser-based application runtime that delivers uncompromised viewing of expressive applications, content, and videos. 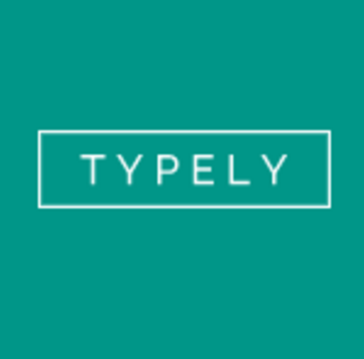 Typely is free proofreading software. Noplag is an online plagiarism checker for writers, students, educators, companies and website owners that checks the Internet, including Acadamic Papers and Publications, while scanning your text or research paper. MathType is a software application created by Design Science that allows the creation of mathematical notation for inclusion. Stock image search engine that filters Out bad images and compare price between different stock agencies using huge pull of legal images for design and business purposes. FontLab Studio is a font editing tool with separate applications for both Windows and Mac. CompanyCam is a project documentation tool for field workers that snap photos on a mobile app that are automatically connected to the right project and available to the whole company in real time, user can annotate, comment and draw on photos to never forget a detail and make it easy to share photos with other contractors and customers through company photo galleries, reports and even live project timelines. PDF Compressors is a PDF reducer is designed for resizing large PDF document and optimize the texts and images it contains. Joincube is an enterprise social network that helps improve internal communication and increase productivity. CLEAN_Address is an integrated address verification solution that corrects and standardizes postal addresses within Oracle, Ellucian and other enterprise systems (ERP, SIS, HCM, CRM, MDM). compareDocs uses leading-edge technology to compare the difference between two documents with accuracy and reliability across all document types, helping authors collaborate on business-critical documents without fear or risk. The only complete audit and protection tool for G Suite, it covers Drive, Email, Groups, Users, Sites, Calendars, Apps, Extensions, Google+, Printers, Devices, Chrome, Chrome Extensions, Classrooms and Collaboration. 15 Day Full Feature free trial. It's 360 Auditing (©) gives you more oversight and protection than any other audit or security tool. GAT was the first audit and protection tool in the Google apps marketplace and it remains the premier tool for these needs. Provides real-time search of Drive and Emails. Provides silent access to all Docs and Emails (via 'Unlock'). Provides Folder maps for Drive and Email, Drive file tree maps, Drive external sharing maps, External Email flow maps and (with Let's Collaborate extension) collaboration maps. Provides real-time blocking and reporting of actions like bank, credit card or SSN, etc. disclosure (via GAT Shield). The only tool to report every single minute of every single user activity (via GAT Shield and requires Google Chrome Manager). With the Shield extension you can see every site your users visit and how long they spend there. You can control chrome login time windows and have idle-time automatic log-out. Powerful compliance test on Docs and Emails in folders Third party Apps audited and controlled Logins and Google+ Audited Up to 90% of documents still leave or enter in emails. Using GAT+ you can run a simultaneous audit on every email box and every Google Drive. Best security practice means we never retrieve email or file contents, so your corporate data will always remain secure With 'Unlock' you can revoke sharing rights, change owners on folder trees and download entire folders for off-line inspection. Managers can now have audit authority delegated to them by Super Admins You can measure collaboration and understand user behaviour For Email you will be able to search on details like from, to, time, cc, bcc, subject and most importantly 'attachments'. Complex multi-part searches can be built In addition you can see extra details like Who sent what document and to whom and when Top sender of email to domain Top source of files out of your domain Top sender of internal email Key relationships To install click 'Add it now'. If you have GAT installed, log out of GAT before you upgrade to GAT+ Reports are Deep, Clear, and Accurate Scheduled reports run in the background 'General Audit Tool is must-have extension for anyone who manages Google Apps. ' - Jack Wallen, Tech Republic. Kernel for Excel is a powerful third party software, allows its user to recover complete data (like hyperlinks, graphs, OLE objects and much more) from corrupt, damaged or inaccessible MS Excel file. The software is capable to retrieve complete data from both XLS and XLSX file of MS Excel. The software also supports all MS Excel Versions, including 2016. By using this software, users can also extract data from multiple MS Excel files in a single attempt. Administering critical information and data to define business success can prove to be an arduous task. Managers leave nothing to chance when it comes to information management. The time lost in searching for the right information is an opportunity cost to the organization. Page2Images offers a fast, stable API that allows users to convert URLs to images automatically. PhraseExpander provides autocompletion (and smartphrases) in any application to save time typing. It also gives access to fill-in-the-blanks templates that are available by typing an abbreviation. Need to import transactions, but the format is not supported? Convert QIF to QBO and import into Quickbooks, (PC/Mac/Online). Match transactions after import as you would do with transactions directly downloaded from your bank. Review transactions in a readable view before converting. Free trial (up to 10 transactions per file converted) is available. Support is available before and after purchase. Save time and avoid data entry and manual errors. Export your existing SharePoint lists and read, modify, share it within Excel. SharePoint List Synchronizer enables two-way synchronization between Excel (2007, 2010, 2013, 2016, 2019) and SharePoint lists (SharePoint Online and SharePoint 2007, 2010, 2013, 2016). Need to convert a transactions file to easy to access or archive format? Convert QFX/OFX/QBO/QIF to CSV/Excel/PDF and import into Excel, QB Online, Xero, YNAB. Review transactions in a readable view before converting. Free trial (up to 10 transactions per file converted) is available. Support is available before and after purchase. Knowledge base with the solutions for similar conversions. Save time and avoid data entry and manual errors. DEVONthink saves all your documents, keeps them organized, and recalls them whenever you need them. Fotopia Viewer allows users to access documents and images located anywhere within a secure, controlled environment; and thanks to the integrated Vector Graphics, even poor-quality documents will appear at the best-available resolution. Freedom is a productivity hack that lets you block apps, websites or the entire Internet on iPhones, iPads, Windows and Mac computers. GitBook is a modern publishing toolchain. Just2Cloud is a Cloud-based inventory and accounting system, it allows you to store your data of contact, inventory, invoices, quotation, reports and etc in the cloud. Keyboard Checker is an easy-to-use website where users can check whether all their keyboard keys work properly. It is of use when people are in doubt whether their keys are broken, particularly with keys that are not so easily tested like F1 to F12 or Scroll Lock, and Insert. In a business setting it is particularly useful for IT staff who have to manage large amounts of hardware, and want to test quickly whether they still function properly or not. The advantage over existing local software solutions is that you can simply run it from any device without needing to install anything. Office Timeline is a free timeline template collection was created for professionals who need outstanding timeline presentations that will thrill clients and impress management. ake your pick amongst the various license options listed below. Payment for the license is easily processed through FastSpring and within few minutes you will receive the license key. ShortPixel is an image compression and optimization tool. Snappii offers over 400 live business apps in 30 industries for every business. Get the mobile app for your business in days, not months. StyleWriter is an editing and proofreading software that helps users towrite in a clear, concise and readable style. VueScan is a scanner software for Windows, Mac, and Linux. XLSTAT is a user-friendly, comprehensive, affordable and performant statistical software that works as an add-on to Excel. XLSTAT's features include data visualization, statistical modeling (regression, ANOVA, mixed models, PLS...), data mining (PCA, MCA, DA...), stat tests, forecasting methods, machine learning, conjoint analysis, PLS-SEM, survival analysis, method comparison, OMICs data analysis, SPC and many more. AddEvent is an Add to Calendar button for one-time and multiple events. Allisian offers scrum communication for busy teams. BusyContacts is acontact manager for macOS. Hi there! Can I help you find the best Other Office solutions?